Four Legged Steel Easels are Sturdy in Design. Boards rests on clamps with non skid rubber. They are suitable for any board of size upto 1200mm x 1800mm. 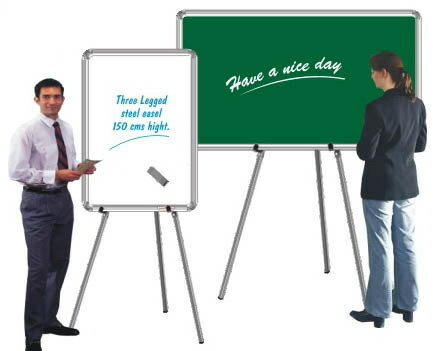 Three Legged Steel Easels are Sturdy in Design. Boards rests on clamps with non skid rubber. Extra holes are provided for adjusting height. 1500mm. Stand Height for boards upto 600mm x 900mm. 1800mm. Stand Height for boards upto 900mm x 1200mm. Boards are to be separately ordered. Pedestal Stand Consists of a heavy threaded base, an Anodised Aluminium pipe of 1800mm length and two nylon holders to be fixed on the boards. Available with or without Castors. Pedestal Stand Consists of a heavy threaded base with Castors, an Anodised Aluminium pipe of 1800mm length and two nylon holders to be fixed on the boards.. 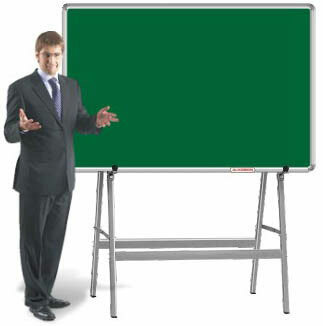 Lobby Board With Stand is a light weight portable unit convenient for direction in lobbies etc. Stand accommodates board size of 300mm. x 450mm. Pipe is Anodised Aluminium of 1065 mm (Approx 42”) length. Alkosign Reception Board Stand has four legs support base with leveling screws and the board is set at an angle to make it easily readable. It is ideal to use in Foyers and Reception area to provide information. ART NO: ARBS (Stand Only) Board to be ordered seperately. 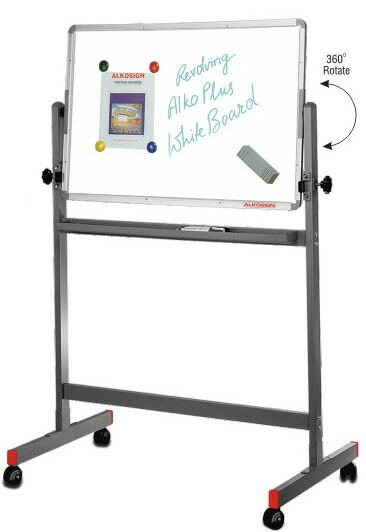 Alkosign Revolving Board Stand is provided with heavy duty lockable castors. 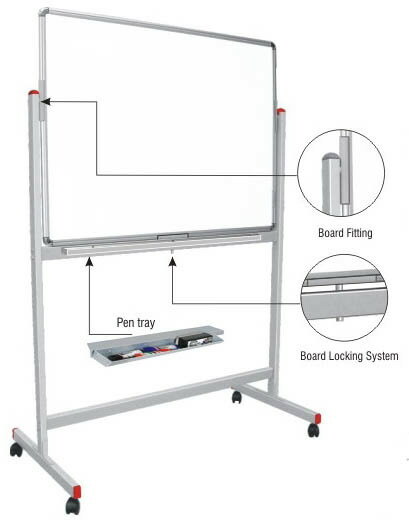 Revolving Double Sided Boards can be locked in either position with positive locking system. The stands are packed in CKD condition and can be assembled easily. Alkosign fixed double sided or single sided boards. provided with heavy duty lockable castors. The stands are Packed in CKD condition and Can be easily assembled. Order Double Sided Boards Seperately.